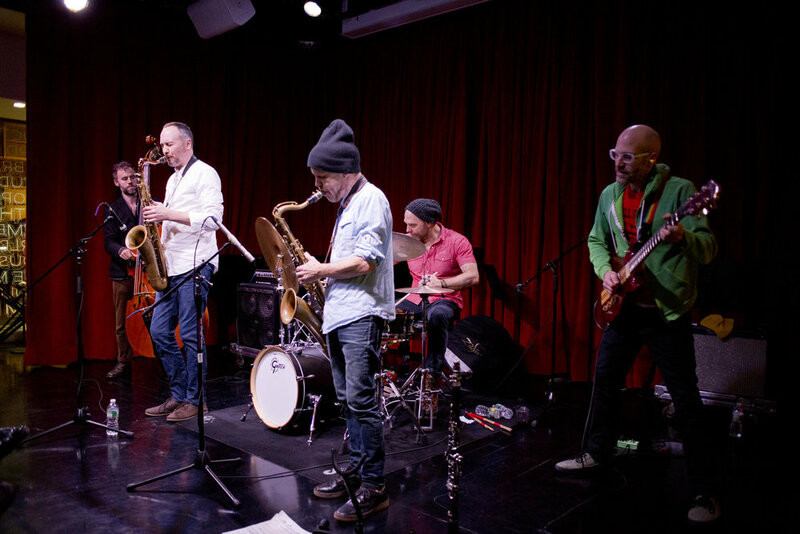 Lineup: Erik Fratzke- guitar, Dave King- drums, Chris Morrissey- bass, Chris Speed- tenor saxophone/clarinet, Brandon Wozniak- tenor saxophone. "THE ALBUM LEFT ME CRAVING FOR MORE, SORT OF LIKE A FIRST DATE THAT WENT VERY WELL BUT ENDED TOO SOON." "...THE GROUP CONCEPT IS AT THE FOREFRONT." "IT'S A WINNING MIX OF MUSICAL PERSONALITIES..."
"DAVE KING TRUCKING COMPANY HAS UNDERGONE A SLIGHT TRANSFORMATION, BUT ONE THAT RESONATES AWFULLY DAMN STRONG."